I’ve been thinking more about branding. When did it really start? When did it become popular? What was its purpose? I can identify two types of branding. The first is generic. Toby is a good example. A brand applied not to a specific beer, but to a whole range. This seems to have been the most common type early doors. It’s still around today, for example Hyde’s Anvil Ales. Branding individual beers, by giving them their own name, is the second type. Beers used to have generic names. Though these weren’t always the same inside and outside the brewery gates. X Ale/Mild is a good example. As is PA/Bitter or KK/Burton. Or be named by place of origin: London Porter, Edinburgh Ale, Dublin Porter. What’s interesting - or perhaps rather, totally predictable – is that naming beers seems to start taking off around the same time as bottled beer, in the 1890’s. And indeed the majority of the beers in the table above were bottled. At a time when pump-clips didn’t exist, branding a draught beer wasn’t easy. Whereas with bottles, you had a colourful label to tempt drinkers. Flipping forward to the fifties, let’s see who was a branding fan. Not sure why they haven’t identified Poacher as the Brown Ale it was. Nor Sable as a Stout. Stingo, obviously, was a Strong Ale. And I’m pretty sure Lutorian should be Lutonian. Fascinating that some are branded Flower & Sons and others Flowers Breweries. 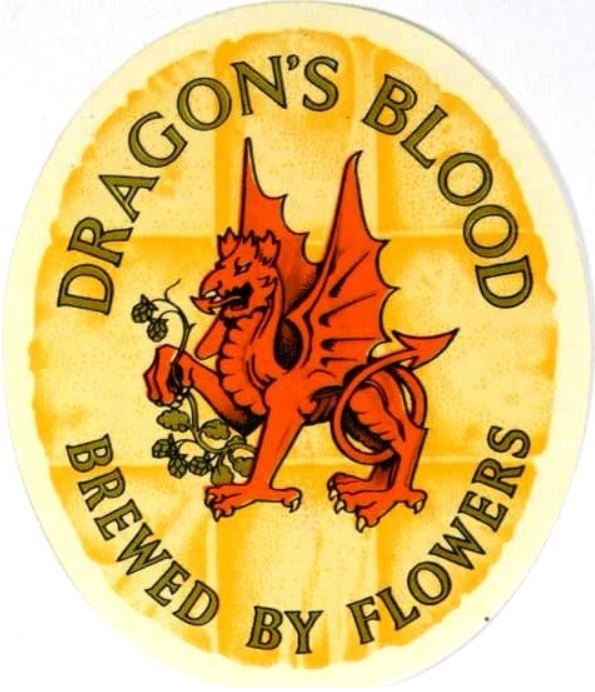 The former are beers from the original Flowers brewery in Stratford-upon-Avon, the latter from J.W. Green in Luton. Flower & Sons, despite being relatively modest in size, had built up a good reputation for some of their beers well outside their core area. Original Bitter, in particular, made inroads outside their tied estate. Doubtless the strong branding of Flowers was why the J.W. Green name was ditched, despite being the senior partner in the new firm. "Old Tom" as a brand name for a strong ale is interesting. My local brewery Robinson's claims to have named theirs after the brewery cat whose face the head brewer drew in the brewing log the first time they brewed it in 1899 but there are lots of other breweries which use that name and Thomas Hardy mentions it in a short story written more than a decade before. Similar to the theories about how AK got its name I suppose. I've been looking at this a bit at an earlier stage. Branding seems to become a thing in say the1780s in the very general sense of associating a product firmly with a manufacturer as opposed to a geographical source and inherent quality. Not just Philadelphia porter but someone's Philadelphia porter. Then in the 1820s you start seeing qualities associated more than just the maker. Imperial or cream gets added to the labels or newspaper notices that are not just puffery but identifiers. Then starting in the mid-1800s you get technological words like "steam" referencing the fact there was a steam engine used at the brewery (or printing press). Finally you seem to get the sort of personification of each sort of product in the 1900s that you are noting. There’s Old Tom gin as well, of course – wonder if there is a connection?